We’ve just returned from an epic trip to the Eastern Sierra. I love hiking, but I’m definitely not John Muir. I’m also not Mr. Money Mustache or Paula Pant either. 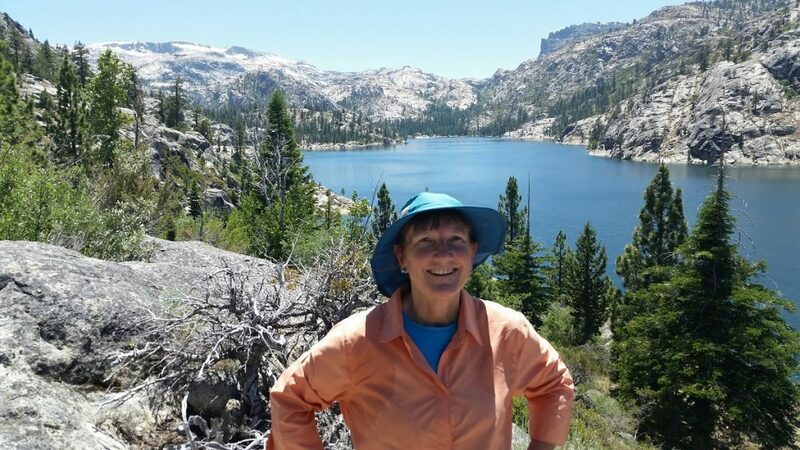 But I was able to quit my job at age 51 and I’ve hiked some of the most incredible trails in the Sierra Nevada. How did I do it? By finding my own pace and my own path. You can too. Yeah, it is totally inspiring to read about people saving 60 percent of their salary or more. Creating a real estate portfolio or a million dollars in stocks and bonds before the age of 30, some of the people in the FI community have accomplished some incredible things. Many of us read and dream about the lives of notable young people who have admirably saved and invested at an amazing pace. 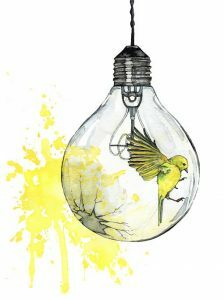 A post this past July by BirdsOfAFIRE has a list of thirty people who reached FI and retired before age 40. When it comes to hiking, I get a similar feeling watching a movie like Mile, Mile and a Half. Seeing people tackle the John Muir trail motivates me to want to something big and ambitious like that. But then I have to stop myself and ask — what do I really want? What type of outdoor experience actually suits me and is something I want to experience? We have to be careful. Sometimes things like this are no different than the feelings you get from advertising and marketing. They create wants to add to our bucket list or items we feel we have to buy. Maybe they are actually in the category of FOMO – the fear of missing out. What about JOMO? The Joy of Missing Out! I had never heard of JOMO until I read a post by Laurie at TheThreeYearExperiment. In it, she referred to YOLO: You Only Live Once. It’s a poignant post, sorting out her feelings facing the certain death of a dear friend. It is so hard to face, really, but yes, life is short. And what Laurie emphasized, in spite of the temptation to go buy stuff, is that instead we need to save and invest so that we can spend our time on what really matters. As I went to comment on her post, I actually had to look up YOLO, because I’m not as cool as the young folks who love these acronyms. My Google search brought me to an article on YOLO, FOMO and JOMO. Whew! These ideas are all contradictory, as most advice tends to be. On the one hand, hey, you only live once. So yeah, you should have a FEAR of missing out. But then I considered JOMO, the joy of missing out. The idea of JOMO is to make time for peaceful relaxation in your life. To me, it is much more than that. It is learning who you really are, what you really want, and designing your life in your own authentic way. So who is Jane Muir? Jane Muir is my trail name. I learned about trail names watching YouTube videos of people hiking the John Muir Trail. 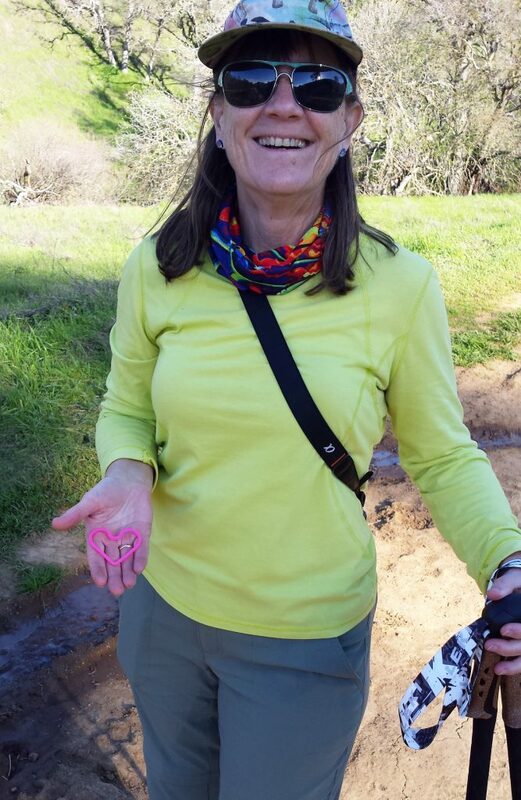 The idea is that you meet lots of hikers along the way and the names add color and allow people to remain anonymous. It is sort of like our blog names, especially for those writers who choose to keep there real names a secret. So what does it mean to me? Jane prefers day hikes, especially if we have our travel trailer close by. I love to return at the end of a challenging day to a warm shower, a homemade meal and a comfy bed. I love drinking some excellent, REAL coffee in the morning and having a good quality breakfast. Then, yeah, I like to select another hike nearby and head back. As much as I admire the people I’ve seen backpacking in the beautiful wilderness, sleeping by Evolution Lake, or climbing the Golden Staircase, it just isn’t for me. At least not at this point in my journey. Don’t get me wrong, I have done a few backpacking trips. I love being out of my comfort zone, pushing myself to live life at the limits and keep growing as a person. It’s hard to choose, but ultimately you have to find what is right for you, personally. I hike pretty slowly, especially at elevation. My photography hobby actually got started as an excuse to stop regularly to catch my breath. Over time, my pace has improved and so has my distance. What started out as shorter hikes with smaller elevation gains, have now become bigger 10 mile days, climbing over 2000 feet. I’ve made it over Piute, Duck, Morgan and Mono Pass on our latest trip. I’ve stood at over 12,000 feet! What has this got to do with your path to FI? To me, they are similar. You can read various blogs, listen to some great podcasts, watch YouTube videos and be equally inspired to save and invest, hoping to be able to amass a large enough sum of money to leave your job and pursue a life of your own choice. But how much money do you make? How frugal are you willing to be? I like this post from Michael at FinanciallyAlert. In it, he has a really great overview of a variety of ways that people have paved their way to financial freedom. The key is that it is “personal” finance. You have to find the balance in your life, choose to spend money when it makes you or your loved ones happy, and learn to increase your income pursuing things that really jazz you. If you can. There is so much to be gleaned from many experts out there who have approached this goal in their own unique way. And even though my husband and I have achieved financial independence, and been retired for several years now, we still pay attention to financial ideas and educate ourselves on topics that are new to us. For example, I am just now dipping my toe into the area of travel rewards. I find that people like Dr McFrugal have really delved into the details and have excellent tips on how to use credit card points and still keep your spending to a minimum. I Know There is a Sweet Spot in There Somewhere! Similarly, we have owned two rental properties and had our own ups and downs over the last 30 years being amateur landlords. We have learned a lot from “the school of hard knocks”. Sometimes I’m embarrassed by the mistakes we have made, like the time we skipped a proper vetting and wound up having to evict a tenant who was a complete scam artist. To help educate myself, I’m reading two books right now to gain more insight from some of the really brilliant people in the FI community. So far, I am really enjoying both of these books and I recommend you get each of them to spark various ideas that might help you. One of the things that both authors have done is to include accounts from other people who are working toward or have reached a level of financial freedom through regular stock market investing or by creating a real estate portfolio. Let me tell you a bit about these books. 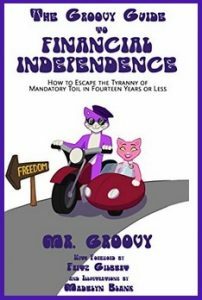 The first book is from Mr. Groovy, titled The Groovy Guide to Financial Independence. My husband and I are reading this book aloud and are having a lot of great discussions. What I love so far about the book is the way that Mr. Groovy emphasizes discipline and personal responsibility. He talks about being honorable and the importance of our health before even getting into the details of more typical financial advise. I have to say, it really has made us step back and take a good look at the big picture. 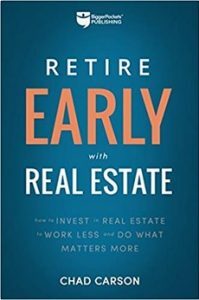 The second book is from Chad “Coach” Carson, titled Retire Early with Real Estate. This book has a lot of examples and possibilities for us to consider with our rentals, especially down the road, if we decide it is time to leave California. Hey, Nevada has no state tax and it is closer to the Eastern Sierras! And speaking of the Eastern Sierras, one of the “mistakes” we are making right now is going ahead with our trailer trip plans for September, even though we just had a tenant move out and we are DIY managers. Yeah, we’ve done a little bit of cleaning, and started on the painting. We have a way to go before it will be ready to rent again. But we decided that we can “afford” to leave it idle. It may not be the path or pace that an expert would choose, but it suits our style. A few months lost rent is well worth the opportunity to see the beautiful autumn unfolding just as other people are heading back to school and work. 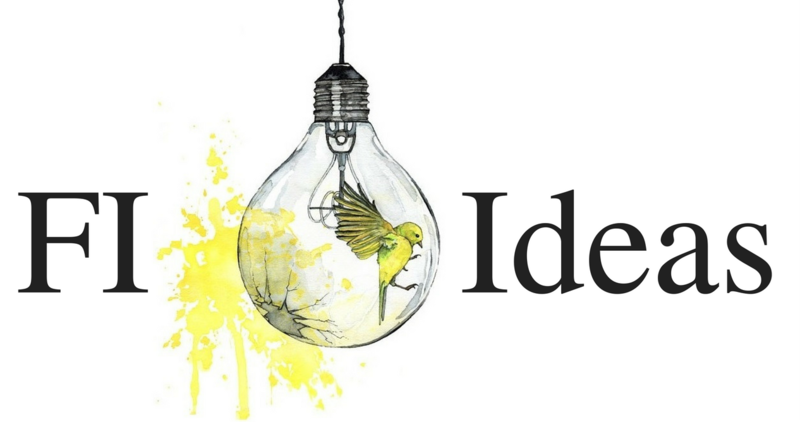 In the end, you take the ideas that could work for you and personalize it. Do it YOUR way. You’ll get there. Maybe faster, maybe slower than others. Make it right for YOU. What do you think? Do you feel like you aren’t moving as fast as others in the FIRE community? Are you able to find your own balance with money and life and not feel you have to keep up with the “Joneses”, even in the personal finance arena? i’ve noticed a lot of the FI Joneses hate television or have cut the chord. i still have satellite tv and truly enjoy my share of weekend sports and a handful of shows my wife and i watch together. i don’t apologize for my poor taste and never have. if times were tight i would gladly give it up. similarly, if i go and run with the dog i could “force” him to run 3 miles and hardly stop and i would get a more proper workout for sure. but what fun would that be for the dog? it’s the same when the mrs. and i go and hike. we did 10 miles a few weeks ago but without elevation on more or a dirt road in the woods and it was just fine. if i were with some very fit buddies i might choose to challenge myself more but just enjoying the time in the woods is fine with the family. everybody wins, which is rare. we found our balance with investing in the same way and never, not once, felt deprived of an enjoyable life…with wine too. we still made it with a less than 50% savings rate. One of the things I admire about you is your unique style. I don’t think you have poor taste, just YOUR taste. That TV is one thing, but the finance police would have a heyday with your wine budget. And also your love of individual stocks. That is what makes you an “individual”! Thanks for the shout-out to Mr. G’s book AND for informing him about the error. He corrected it but it takes a few days to update in Amazon (you have to replace the entire book file). I admire how you’re able to pace yourself in all areas of your life. A walk in nature is sometimes all it takes to be joyful. Your reaction to Mile, Mile and a Half is like my reaction to various films about walking the The Camino de Santiago. In theory it sounds great and I love Miss Mazuma’s account of it (she’s done it twice). But it’s not for me at this point in my life. The book is fantastic and I probably noticed that because we are reading aloud, which is fun. I sure hope the hurricane and flooding hasn’t impacted you too much. You know, it is tempting to pursue something like the Camino de Santiago, which Mr. Groovy mentioned as a future goal in his book. And then for me, I have to decide if I’m Miss Mazuma or not! I can’t say that I have paced myself correctly in life. It’s a work in progress, for all of us. I admire that you both walk regularly — and pick up trash along the way too. Good to hear from you and stay dry. I should stipulate I might consider walking the Camino if we partially stayed in hotels. All that hosteling is not my thing. Thanks for the good thoughts. We’re dry here. No issues and our house-build is intact. Hotels, now that’s more Jane Muir to me. I have seen a couple of movies on the Camino and it does look like a really fantastic idea. I’m so happy to hear you are dry and safe. Take care. Thanks, for the mention, Susan. I love that you used photography as a way to slow down and catch your breath. 😉 You can really get winded quickly in higher elevations! The Eastern Sierras are so beautiful. I could fish there the entire summer. Thanks you for your great post. It really sheds a lot of light on the possibilities for different paths. And yeah, those high elevations are especially difficult coming from sea level. I nearly fainted on day one up Piute Pass. The steep mountains on the east are amazing. We didn’t fish, but it was clear that there are a lot of great opportunities there. In fact, at some lakes along the way, you could just look down and see trout swimming. What a great life it is to be early retired, as you also know! Thanks for the shout out Susan! I try to be helpful and share tips when I can :). Btw, your hiking pictures are beautiful. The photo of your crossing the creek with that log makes my palms sweaty! That looks quite high! You are very helpful to a travel points novice like me. It’s great to see real examples from your real life experiences. I believe you also live fairly close to the places we have hiked. Such amazing mountains and beauty. 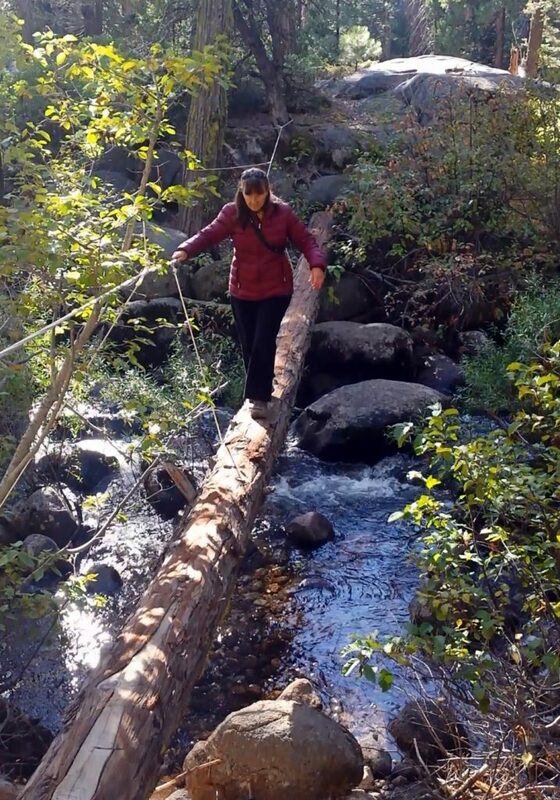 That log crossing would have been much harder without the help of the ropes that a former boy scout troup put there. It’s just like the FI community, in that one person helps himself across and shares the way with others. Like you! Looks like a great time and awesome pics. I was in the Eastern Sierra in August myself and climbed Whitney, maybe we we close! I saw a couple of your pictures of Whitney on Instagram. You not only got to the summit, but CLIMBED it! We met several rock climbers on our day hikes, and for the first time I started to get that spark. One guy said it was actually the safest thing he does and his wife said she healed her knee problems climbing. I’m not sure if this is another FOMO item. “Jane” has to sort this out. 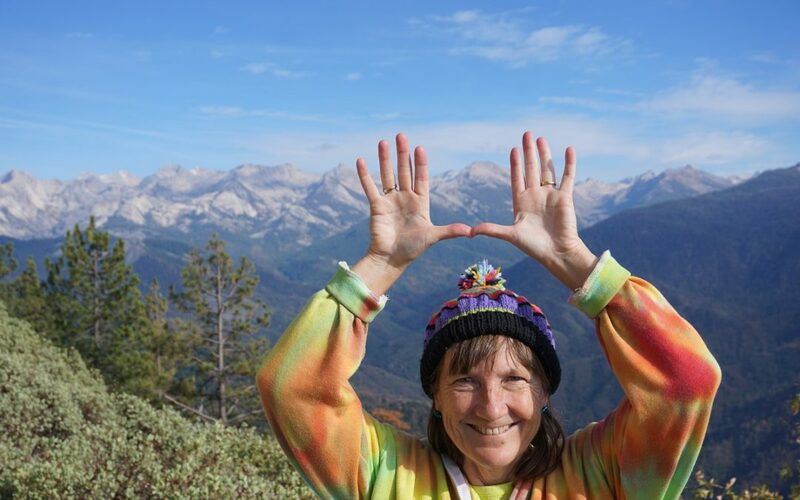 I have been so jazzed by your accomplishment climbing all 54 of the 14ers in Colorado. I suspect you can’t do that and get back to that cozy trailer at night, ha! It is a safe sport when practiced, well, safely. I’d love to teach you the basics! I just might take you up on that AF. If I do, I’d probably have to come to D.C. so maybe this will become something like Doug Nordman offering surfing lessons if you come to Hawaii! Yeah I gave up on the idea that I “have to” be doing anything in personal finance or the path to FI long ago. Actually I’m hardly reading ANYTHING on FI anymore because I’m personally not interested really in reading it anymore. But maybe that interest will come back. BTW, I’m totally the same type of hiker. Pooping in the woods, at least at this point in my life, is not for me! lol! Yeah, the easiest way to “leave no trace” is to be in the trailer with my morning coffee! I do carry ziplocs full of paper towels and a bandana, just in case though. I know what you mean about reading various FI articles. For me, especially already early retired, I most enjoy personal stories, like yours, that inspire me. And you have great photos and video too! Oh wow, I’ve never heard of JOMO but I think it’s the perfect description for a feeling I’ve had — just wasn’t sure how to pinpoint it! It’s like when you have Friday night plans and then cancel for a snuggle sesh on the couch with a good book and a bottle of wine. That relief really is a singular feeling, and I can see how it can extend into more major events and decisions in life. I love the idea of “peaceful relaxation” with your decisions, and will continue to strive for it. A good book and a bottle of wine sound wonderful. I think we all need to try to remember the lesson of JOMO and hopefully choose things that bring us joy. Good to hear from you. Yes, so many people really are approaching FI really fast, and I sincerely hope that suits them. But if we are not careful, we will feel we have to keep up with the FI Joneses, right? The JOMO concept is inspiring me to be more in the moment. I’m happy to hear from you and glad you found me through Camp FIRE. Great post! Haha on keeping up with the Joneses in the FI community. I am such a late bloomer that if I’d compare myself to all of the youngins killing it, I’d be sorely disappointed with myself. I’m just happy to be here and on this path. Thanks for such a great reminder, Susan. Thank you so much for your kind words. You’re smart to resist that urge to compare yourself, especially to the young FI Rockstars out there that are so inspiring. Over and over we have to keep reminding ourselves that ultimately this is about finding our own dream and being true to ourselves on how to get there. Glad you enjoyed the photos!